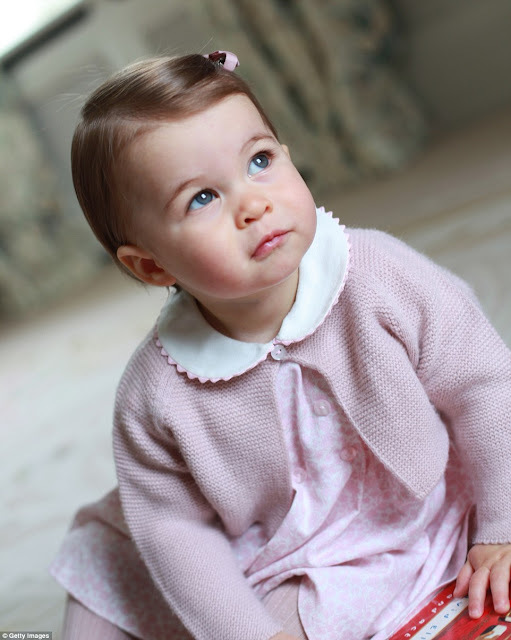 Home / News / Showbiz / PRINCESS CHARLOTTE'S NEWLY RELEASED PHOTO'S TO CELEBRATE HER 1ST BIRTHDAY ON MONDAY 2 MAY. PRINCESS CHARLOTTE'S NEWLY RELEASED PHOTO'S TO CELEBRATE HER 1ST BIRTHDAY ON MONDAY 2 MAY. 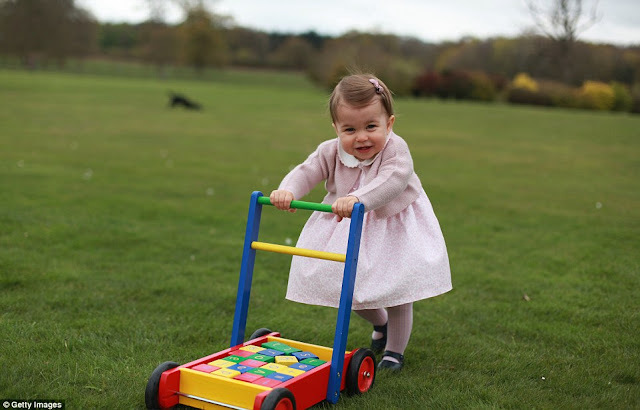 Pretty in pink (and blue): Kate and William release charming new pictures of Princess Charlotte to mark her first birthday... taken by her proud mum. 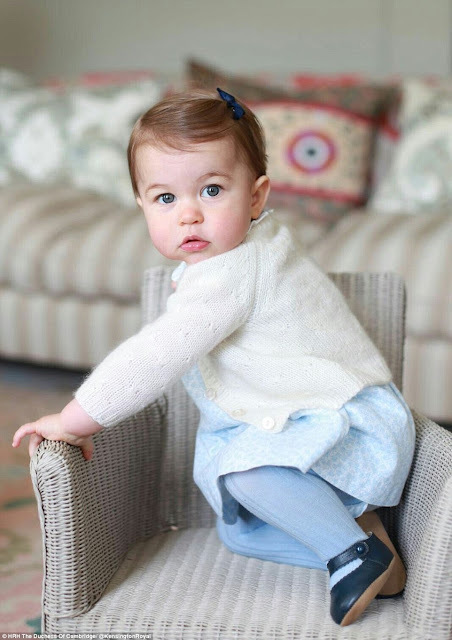 Princess Charlotte will celebrate her first birthday tomorrow so parents have released new photos to mark occasion. In the adorable snaps the youngest member of the royal family wears a little bow in her hair and a pink cardigan. 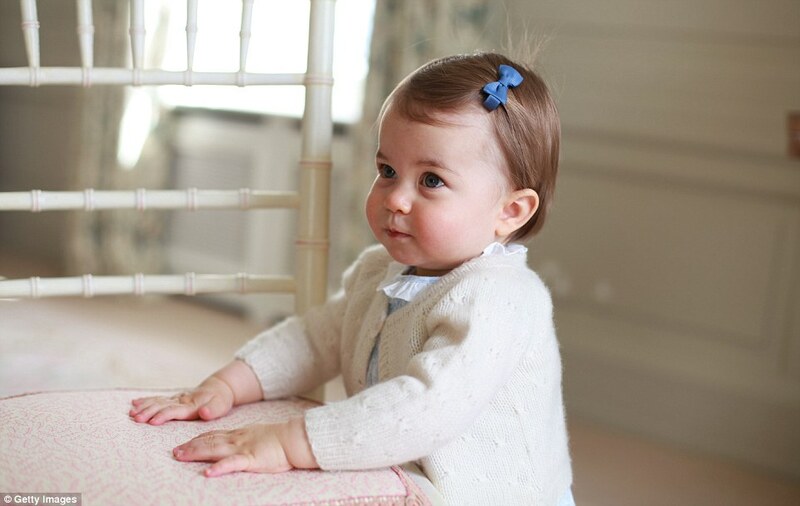 Photographs were taken at the young family's home of Anmer Hall in Norfolk in April by the Duchess of Cambridge. Charlotte's privacy has been carefully guarded by parents - in past year she has only been seen in public twice.